is name was Grigori Efimovich Rasputin and he is one of the most enigmatic men in modern history. Was he a misunderstood holy man with strange powers to heal - or was he a scheming sinner who manipulated the suffering of others? Right: The Tsarevich Alexis, he suffered from hemophilia and Rasputin was able to stop his bleeding. Rasputin was born in the Tyumen district of Siberia, far away from the glittering salons in the Imperial Capital of St. Petersburg. Even today he is a shadowy and mysterious character; a person of contradictory personality traits. 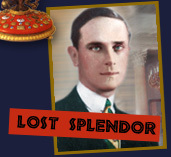 Was he a miracle worker or just a crafty manipulator of the Imperial Family? While he was alive, witnesses, including doctors and skeptics, concluded he possessed some inexplicable power over the Tsarevich and his deadly episodes of bleeding. This mysterious ability to heal her son was enough to convince Alexandra that Rasputin, whatever people said of him, must have been sent by God. In her mind he was he the answer to her fervent prayers for God to save her son. It was impossible for her to believe that he could have been a wolf in sheep's clothing. His influence over politics has been greatly exaggerated. Rasputin was a convenient scapegoat for those who wanted to attack the Tsar's appointments and decisions, but who wouldn't confront Nicholas directly. 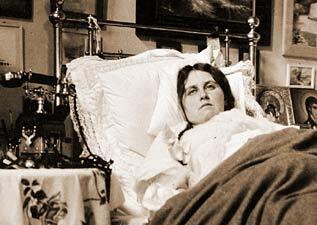 Above: Anna Vyrubova in bed recovering from her nearly fatal train accident. A number of influential churchmen fell for Rasputin early in his 'career' as a holy man. Later, these supporters in the church hierarchy turned on him and attempted to send him away from St. Peterburg. Rasputin cunningly knew how to undermine his enemies in the church and soon had them exiled or in disgrace. A bishop or monk who opposed him might find themself suddenly sent to a remote monastery or far-away episcopal see. In government affairs Rasputin's power was an illusion, although the Petersburg press crowed about his influence over important government appointments. 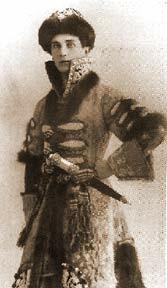 Gossip claimed he had seduced the Empress, her daughters, and Anna Vyrubova as well. 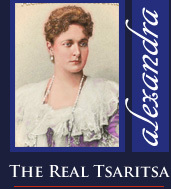 These rumors, which reached the highest circles of society where they were deliciously repeated by Alexandra's foes, drove Nicholas to distraction. The remoteness and isolation of the Imperial Family made it possible for the general public to believe these crazy stories, but the aristocracy knew they were groundless. Still they derived pleasure from seeing Alexandra's named dragged through the mud. Rasputin made the talk worse by flaunting the Imperial families gifts, letters and the telephone calls he received from Alexandra asking for his prayers. People believed he had an uncanny control over the Tsar and his wife. Rasputin enjoyed the celebrity status this reputation gave him. Left: The dead body of Rasputin, pulled from an iced over St. Petersburg canal. The story of Rasputin's demise is well known. One night in December 1916, Rasputin was invited by Prince Felix Felixovich Yussupov to visit his palace on the Moika Canal. The pretext was the opportunity for Rasputin to meet Felix's wife, Irina, who was a great beauty and niece of the Tsar. Rasputin wanted to meet Irina and was flattered by Felix's attention. 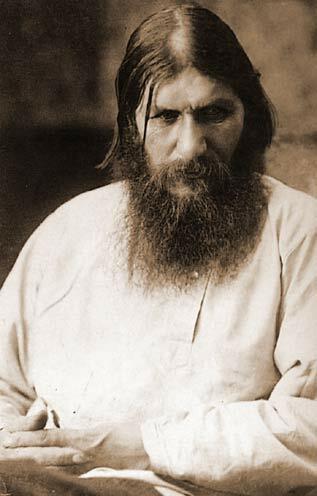 Felix claims he had been nurturing a relationship with Rasputin for a number of years before the invitation, although this relationship has never been fully explained. Felix always portrayed his murder of Rasputin as a political act to save Russia. Right: Felix Yussupov dressed for a costume ball. Certainly, Felix had never shown any patriotic leanings before, so his murder of Rasputin is hard to explain from a political standpoint. It may have been there was some other, more personal, reason for Felix's desire to get rid of him. Besides Felix, who was the mastermind of the plot, the Tsar's first cousin and ward Grand Duke Dmitri Pavlovich Romanov, and a member of the Imperial Duma, Vladimir Mitrofanovich Purishkevich, were also involved in Rasputin's killing.